Espresso drinkers who want a nicer, more unique true espresso ware? Right here! 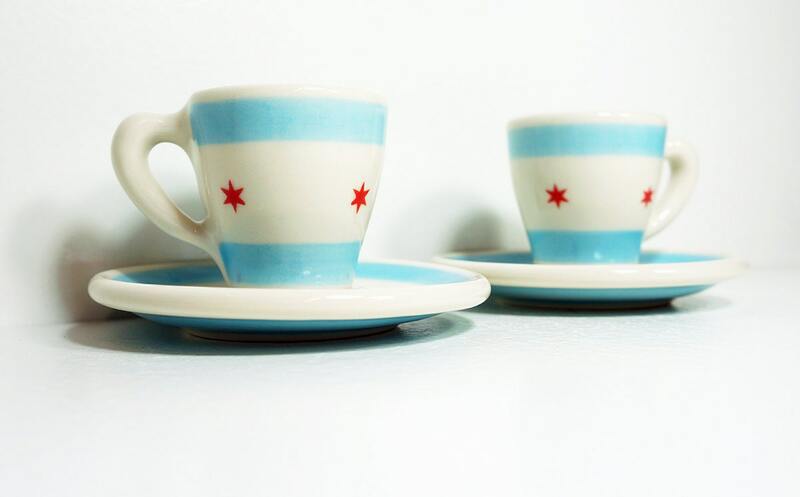 However, should you just want one cup & saucer, contact us so we can make a listing for you! 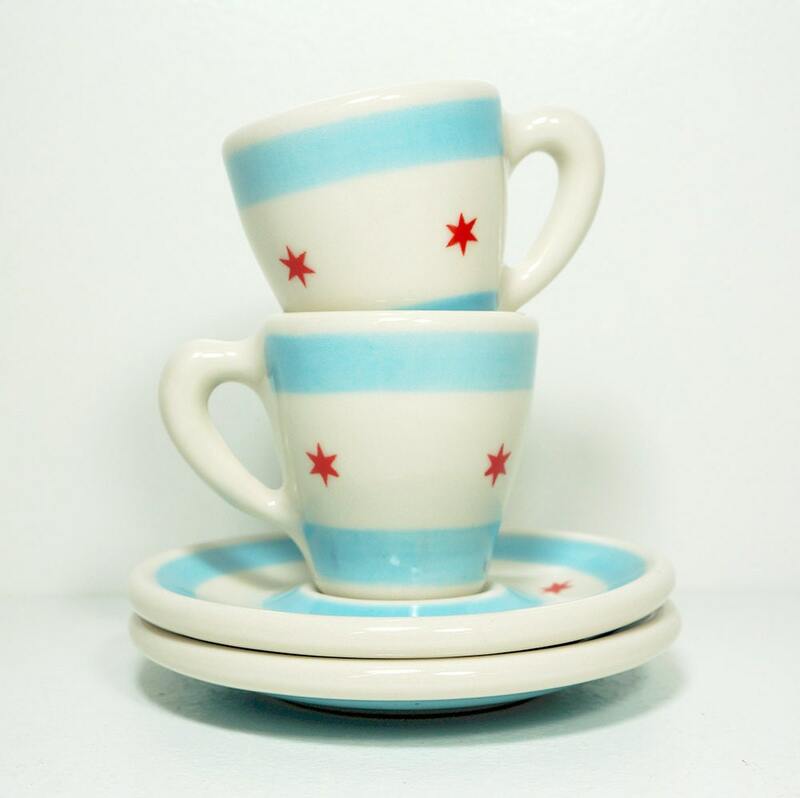 Porcelain clay body, we have them ringing in at 1 pound (that would be 1 cup & 1 saucer), with the cup being 2.125 inches in height, 2 inches in diameter, and the saucer being 4.5 inches in diameter. The cups hold approximately 2.2 ounces. 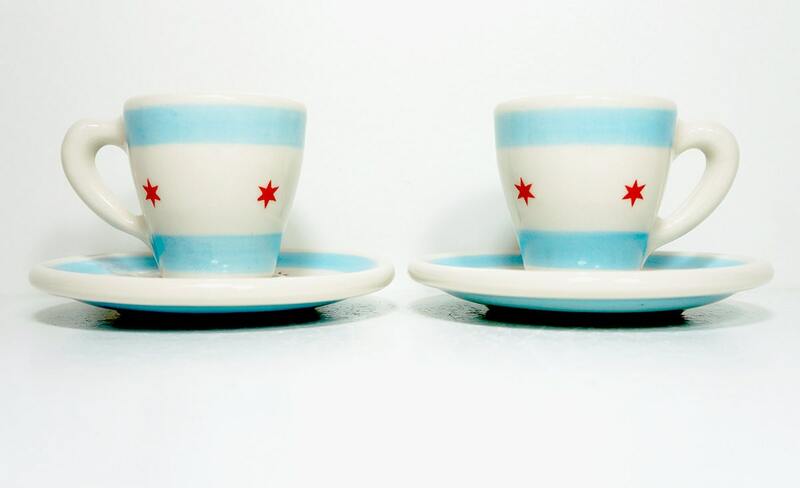 ★ These particular cups were made with a rounded bottom on the inside (so no flat interior bottom here!) and a special interior shoulder to help elevate the crema from your shot. ★ Our underglazes & glazes fit our claybody (no crazing or cracking) so rest assured you can put the ware in a dishwasher & use in a microwave. Even though microwaving espresso is NOT recommended - bleh! Beautiful product, great communication with the vendor, arrived in perfect condition. I would recommend. These are so beautiful cups. We love them! Great quality, great colors, great ergonomic. Thanks a lot! 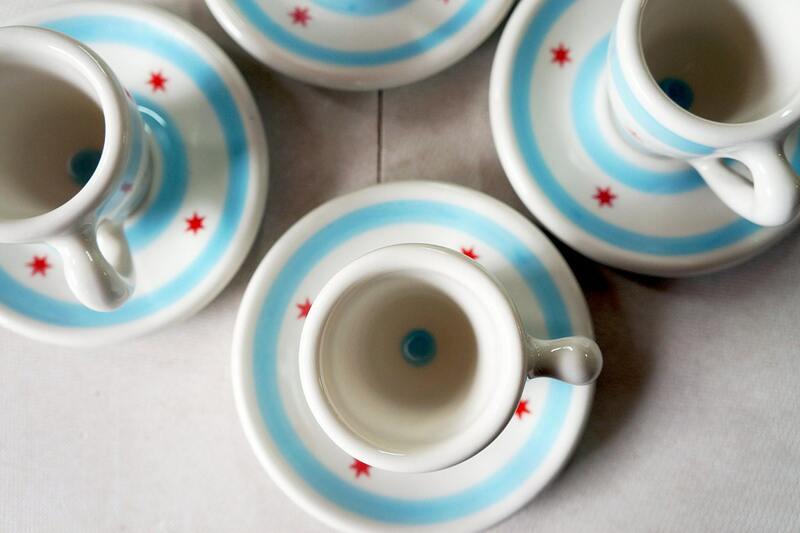 Absolutely perfect & adorable cups with saucers! Super fast shipping and responsive seller. Thank you! Beautifully made! Wonderful product, would definitely order from this seller again for such a unique gift.